So pretty! 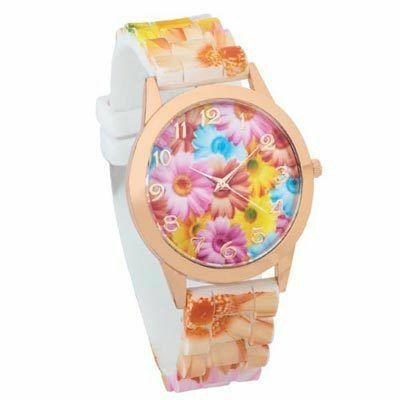 Rich, rose gold-tone bezel, numerals and crown accent the soft, floral design on this timepiece. Adjustable band made of comfortable rubber. One size fits most. 10"l. Hurry! Quantities are limited!